Joel is passionate about Health & Wellbeing, Arts & all forms of positive Cultural Expression. Music taste - TRULY eclectic and quite weird but sometimes wonderful - says: "I can't imagine a world without music!" Joel joined Seahaven FM when it kicked off in 2008. 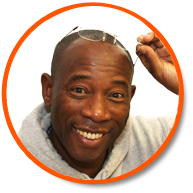 He firmly believes, "Having a Local Radio Station is about a community 'talking to & about itself' - listening, reflecting, informing, entertaining & sharing views amongst other stuff; like great music!" 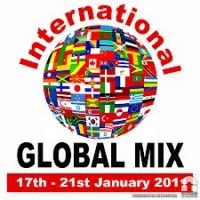 PLUS CHECKOUT The 'GLOBAL CHILL' and 'The GLOBAL MIX' (TOP 30) :>)) NOW ON MIXCLOUD - "Over 4 hours of fabulously diverse music."